A Spicy bright Portuguese flavour with zesty citric undertones. This zesty citric Portuguese seasoning gives you a modern twist on the traditional Portuguese flavour that Krio Krush is famous for. Ideal with chicken and seafood. Simply add 1tbsp (15-20g) to 1kg of protein. Alternatively use as a wet marinade to finish as a basting sauce. 2Tbsp (40g) per 250ml oil. 1) Recommended usage for dry Seasoning: Use approx. 20g of seasoning to 1Kg of meat, chicken, seafood. 2) Recommended usage for wet marinade; Use approx. 50g per 250mls of oil. Mix through and marinade. 3) Recommended usage; Sprinkle on before cooking, grilling, baking, BBQ. Krio Krush Basic Foods Pty Ltd is an Australian owned and operated company, which services the Food Industry. 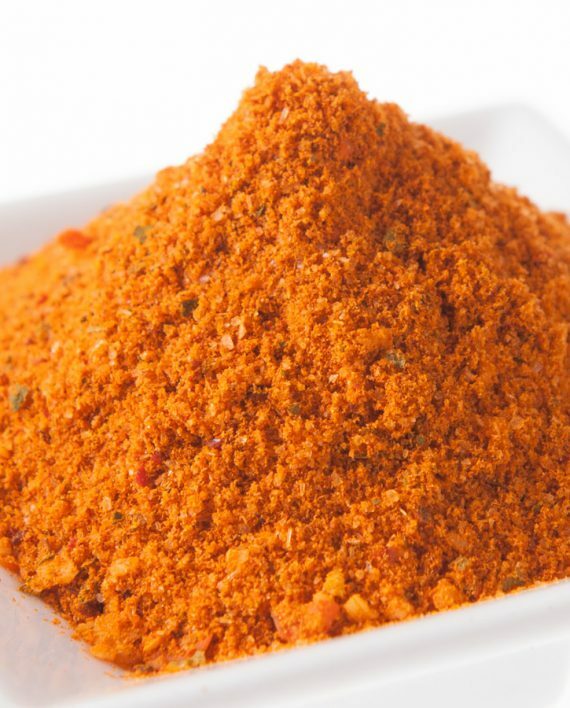 We specialise in the development, manufacture and supply of “All Natural” Savoury Seasonings and Food Ingredients. All our products are manufactured and processes are implemented in accordance with ISO 9002 and HACCP requirements.